Prematurity can lead to a variety of chronic neurological deficits in children, including periventricular leukomalacia (PVL), which is characterized by death of the white matter surrounding the lateral ventricles. 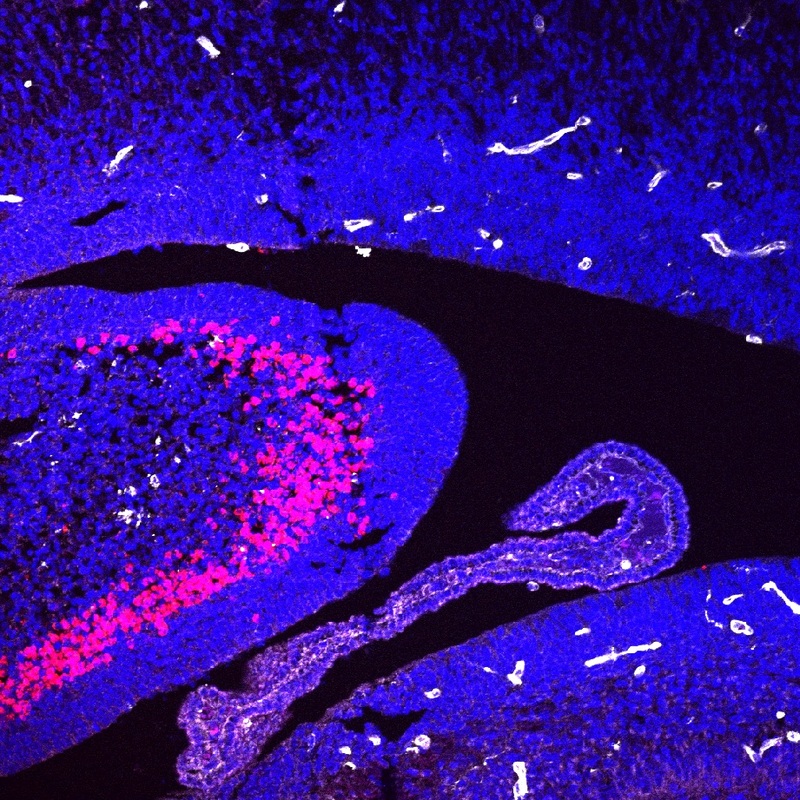 As developing neurons rely on simultaneous tissue vascularization for survival, angiogenic insults, such as hypoxia, have been implicated in PVL. Injuries of prematurity are common within a restricted gestational window and within specific regions of the brain. Unfortunately, animal models have not recapitulated the spatial and temporal distribution of PVL. Tamar Licht, Talia Dor-Wollman and colleagues at the Hebrew University of Jerusalem developed an inducible, bi-transgenic mouse model, whereby VEGF-dependent angiogenesis can be blocked at specific developmental periods of periventricular blood vessel development. VEGF blockade only during a specific, critical developmental window (E13.5-14.5) caused neuronal death that mimicks human PVL. VEGF-dependent immature blood vessels matured in a wave-like pattern, starting at the brain periphery and maturing last at the ventricles, with maturity characterized by the acquisition of a blood-brain barrier. Together, the results from this study establish an animal model of PVL that demonstrates that damage to immature periventricular vessels underlies disease. In the accompanying commentary, Jason Boehme and Emin Maltepe at UCSFF suggest that these findings may support a tiered approach to oxygen saturation in premature infants at risk of vascular injuries. The accompanying image depicts highly restricted neuronal apoptosis (red) in the vulnerable periventricular region of the developing brain (blue). Citation Information: J Clin Invest. 2015;125(3):1319-1328. https://doi.org/10.1172/JCI79401. Citation Information: J Clin Invest. 2015;125(3):965-967. https://doi.org/10.1172/JCI80820.